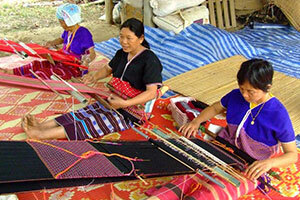 Paka Ke Yor Craft Textile Group A cultural attraction. To study the lifestyle, arts, customs and culture of the Paka Ke Yor tribe. Travel Take Highway 107 to Soi Moo Suan Luang Moo 1 Tambon Mae. Located in Moo 6 Tambon Mae Sun distance of about 4 km.